The configuration features a three 9" dual-zone tom pads, a 9" dual-zone snare pad, 10-inch hi-hat, 14-inch ride and a 12-inch chokeable crash cymbal. The cymbal pads respond with a natural rebound. 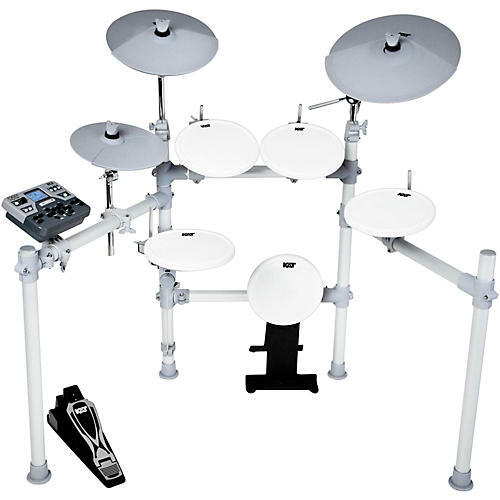 The kick tower has a 9-inch pad and a specially-engineered support structure that ensures the stability and familiar feel of a real bass drum. Also includes a "soft stroke" beater for quiet play of the bass drum.